Hide deals from seller "US K&K Jewelry"
Limit 1 per person; may purchase 1 additional as a gift. Valid toward any beads. In-store purchases only. Promotional value expires 60 days after purchase. 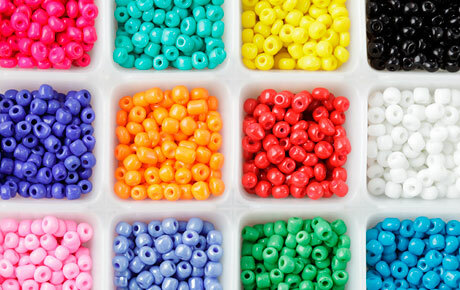 Bedazzle your friends with 50% off beads from US K & K Jewelry in Niles ($20 value). Peer through cases of beautiful beads, semi-precious stones and freshwater pearls at this unique jewelry shop. US K&K Jewelry has satisfying clients with stunning jewelry for more than 10 years. Their beads, stones and other jewelry-making items can be formed into gorgeous necklaces and bracelets of the utmost elegance. US K & K Jewelry also manufactures its own beads for inventive new styles at affordable prices. Their selection of eclectic gemstones includes jade, amethyst, obsidian and onyx, among many others. Accessorize with grace with this sparkling deal. Jewelry store in Niles offering a wide selection of jewelry, pearls and beads.